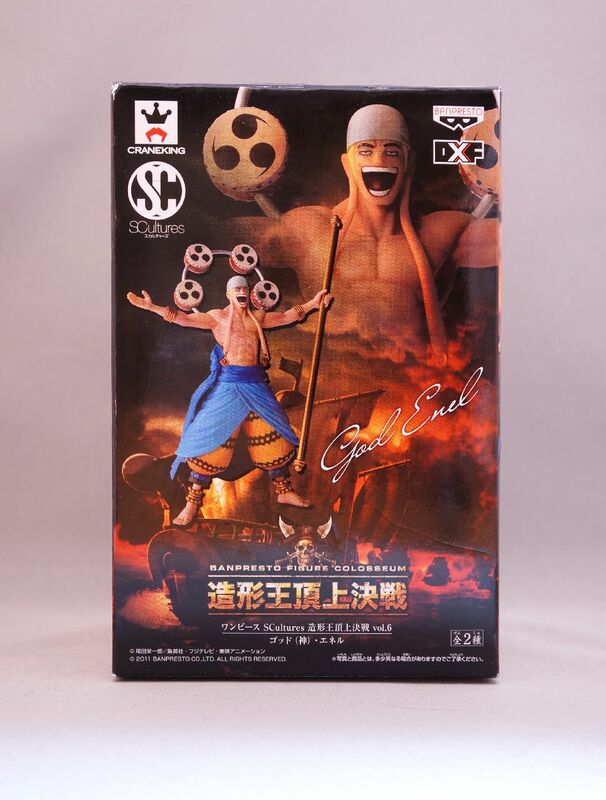 “Ware wa kami-nari” is a phrase that Enel uses very often. 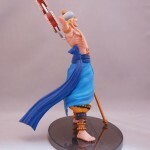 The phrase is a play on words and has a double meaning. 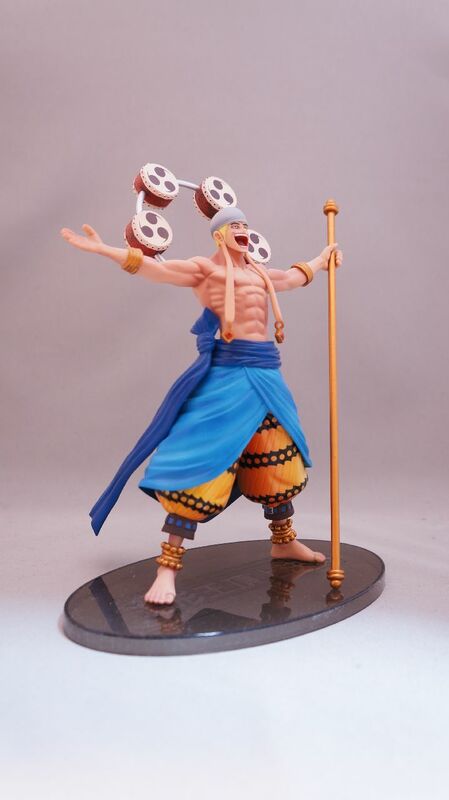 The word “Kaminari” in Japanese means “Thunder” so the phrase can be read “I am thunder”. 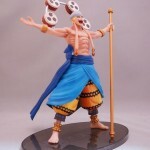 The same word can be broken down into two separate words, “Kami nari”, which means “God”, so the phrase can also be read “I am God”. 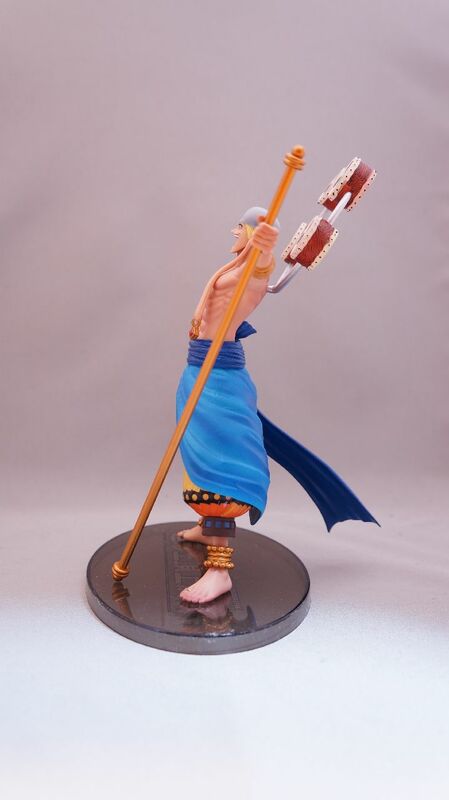 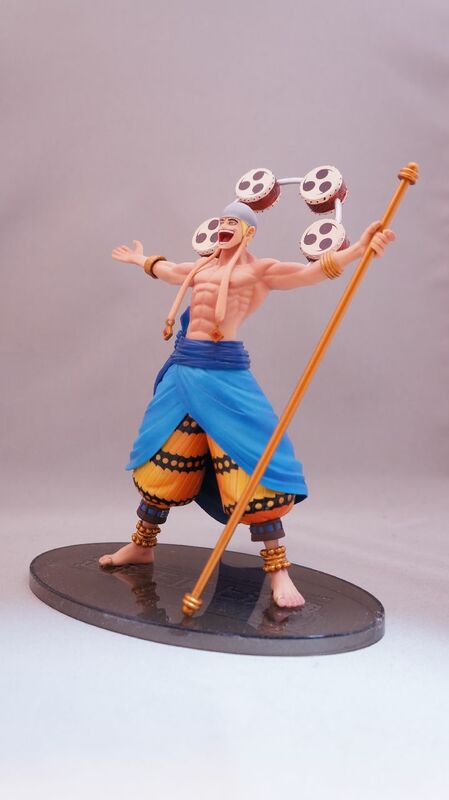 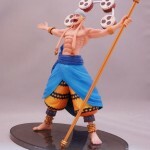 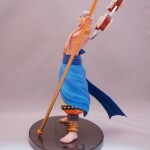 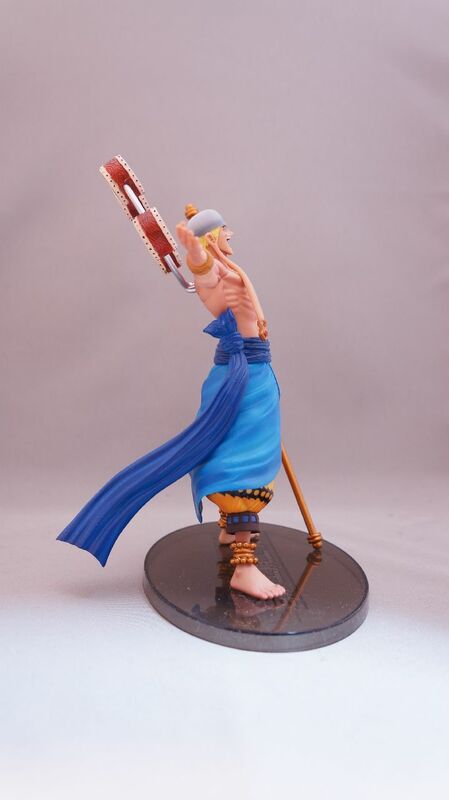 A really detailed figure of God Enel. 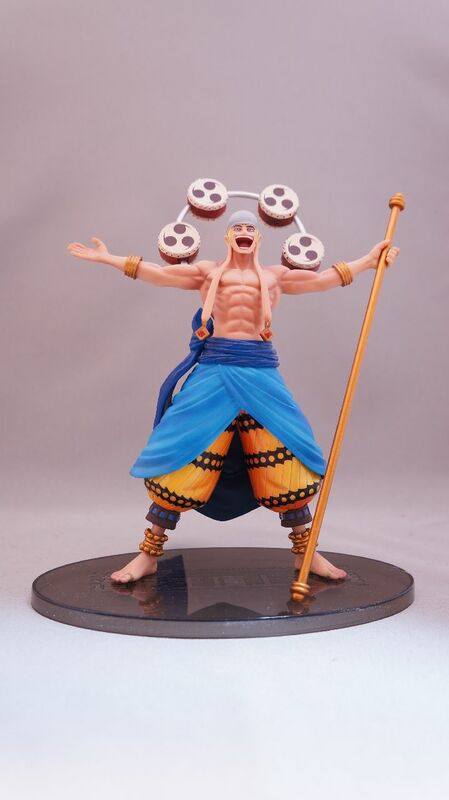 The figure reproduces the muscular body, and his ear lobes are very long! 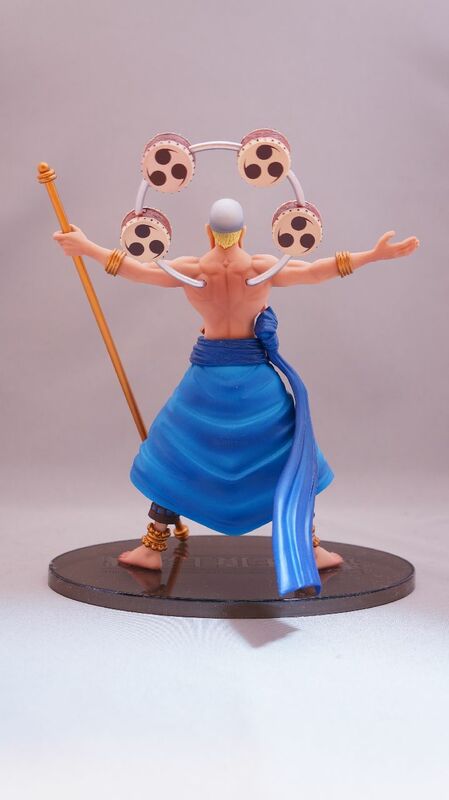 Did you know that God Enel was based on Eminem? 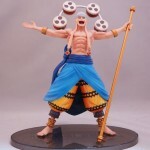 Looking for Banpresto Figure Colosseum Vol. 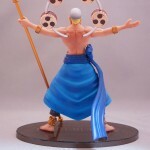 6 – God Enel?